Rooting your android device is very essential, as it helps enhance and improve the performance of your device. However, there are other major reasons you should root your android device outside improved performance. RAM management, custom recovery installation and special functionality apps are also among the major reasons you root your android phone or tablet. 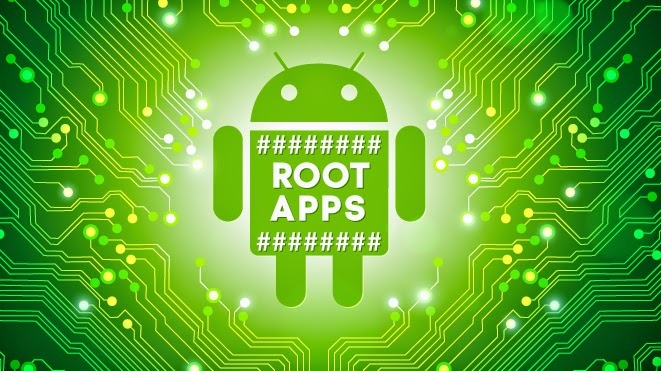 There are lists of android apps that are recommended for all rooted android devices, and I would highlight the top 10 android root apps that you should download for your rooted android device. Though there are both paid and free android root apps, but I would give you highlighted list about the free ones. GooManager is known to be a front-end android file hosting app via Goo.im, which lets you download ROMs, Google Apps packages, kernels, apps, and any other file available via the website. This app easily notifies you available downloads, and lets you easily boot your device to recovery so that you easily install TWRP recovery on your android device. Its interface is quite great and user-friendly. Greenify is a very common android root app recommended rooted android device. With greenify, you can easily detect any misbehaving app and put them into hibernation. Once the functionality of Greenify executes its operation, apps lagging your android device would be avoided. There are other great features that comes with the Greenify app. I advise you download the app and see for yourself. This is a must-have android root app for android phones. I call this application the mother of other root app because it combines all root in your android device, into a monster app. In other words, it houses other android root app available in your android phone. The interface of the already combined apps looks great and an easy-to-use interface for learned users. I don’t need to say much on this app and the recommendation is high. Root Explorer is commonly known to be the ultimate file manager app recommended for rooted android device. The app helps to manage all files in your android device and features include multiple tabs, Google Drive, Box, Dropbox and network (SMB) support, SQLite database viewer, Text Editor, create and extract zip or tar/gzip files, extract rar archives, multi-select, execute scripts, search, remount, permissions, bookmarks, send files (via email, bluetooth etc), image thumbnails, APK binary XML viewer, change file owner/group, create symbolic link, "Open With" facility, MD5, create shortcuts. This android root app is one f the best android tool for file backup. The major function of this app is to backup your android files, though it includes other secondary features which you would definitely discover once you download. The above android root apps are highly recommended for rooted android devices and with the help of these apps, your rooted android device would have an improved performance and more enhanced functionalities. You can download most of the apps from playstore and if you’ve any problem regarding to this content, feel free to let me know via comment section. Don’t forget to visit our android category for more android tips and tricks; you can also check out the 7 Performance Boosting Android Apps for Your Smartphone.